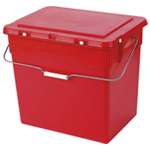 We offer a range of secure containers for the safe disposal, storage and transportation of hazardous waste. 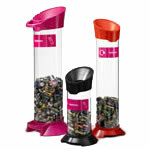 These containers are suitable for use in the workplace, at retail locations or in communal areas. 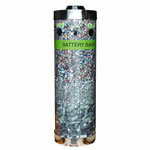 For the collection and storage of batteries for recycling. Available in counter top and floor standing versions. 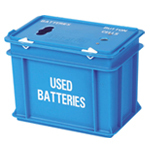 Supplied with two or three apertures for the collection, storage and transportation of a variety of battery types. This large stylish bank with a custom wrap around graphic is ideal for communal recycling areas or bring sites. 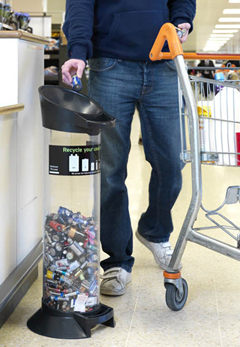 Designed for the source separation of hazardous household waste, which can then be picked up from the kerbside or taken to a collection point.